In the aftermath of the United States’ withdrawal from the Joint Comprehensive Plan of Action (JCPOA), more commonly known as the Iranian Nuclear Deal, talks concerning a renegotiated agreement between the US and Iran have emerged as perhaps a lone means to save the pillars of the original deal. As US President Donald Trump announced his decision to rescind the United States’ commitment to the pact, much of the world, (Iranian diplomats in particular), has looked toward Oman to once-again play a mediating role between the two nations. Omani intermediaries have already achieved several positive outcomes in serving this function, and, until Trump’s pull-out, the Omanis looked to the JCPOA as a crowning achievement. Prior to the nuclear negotiations, Oman had a track record of successful diplomatic endeavors, having helped secure the release of American prisoners held in Iran in 2009, as well as on several occasions decreasing tensions between Tehran and Riyadh. However, Oman’s various efforts at mediation between the US and Iran have been stalled by hardliners in both nations who believe confrontation, as opposed to diplomacy, represents the best approach of protecting economic and geopolitical interests. 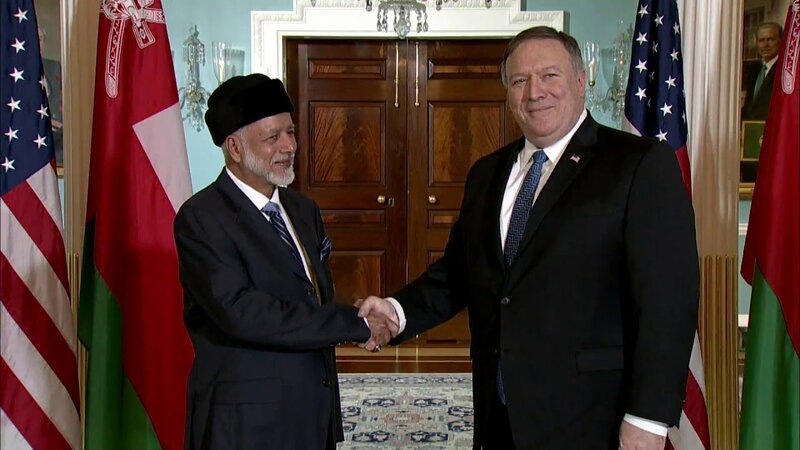 Within the context of heightened tensions between Tehran and Washington, Omani Foreign Minister Yusuf bin Alawi visited Washington D.C where he met with US Secretary of State Mike Pompeo and Secretary of Defense James Mattis. The Omani visit was preceded by an overture to Muscat by Iranian Foreign Minister Mohammad Javad Zarif earlier that month. Considering the previous role of Oman in harboring the first rounds of JCPOA talks between the US and Iran, the Omani FM’s visit has raised hopes about a possible Omani role in reducing tension between the two nations and reviving US-Iranian back-channels. Within the tense environment of the Gulf region, the Sultanate of Oman treads a path of neutrality and noninterference in the domestic affairs of other nations. This impartial stance has given Oman special leverage to mediate several conflicts in the Gulf region and has been the cornerstone of Omani diplomacy since Sultan Qaboos came to power in July 1970. Such a strategy was best exemplified in the late 1970s when Oman differed from the rest of the Arab nations and refused to see Egypt’s signing of the Camp David peace agreement with Israel as a justification for the Arab League’s subsequent boycott. Oman considered the deal a sovereign decision that was Cairo’s alone to make. Even after the Arab Spring, Oman remained neutral toward much of the civil unrest and armed conflicts in Libya, Egypt, Yemen and Syria that had enticed the involvement of some of Oman’s Gulf neighbors. In the realm of the Gulf region, Oman has also remained above the fray of routine disputes between Saudi Arabia and Iran. The fact that Oman and Iran share control of the Strait of Hormuz increases Muscat’s geopolitical clout, furthering its role as a regional mediator between Riyadh and Tehran. Geography’s fate has created shared political and economic interests between Muscat and Tehran, thusly making the maintenance of good relations between the two rivals a key national security interest for the Sultanate. Crafters of Omani foreign policy have long recognized the potential of this geopolitical reality to act as an entrance for maintaining peace and dialogue between Iran and those of its neighbors that remain critical of the Islamic Republic’s actions in the greater Middle East, namely Saudi Arabia and the United Arab Emirates (UAE). The Sultanate’s approach to the ongoing conflict in Yemen exemplifies its tendency to refrain from interference in regional affairs. Unlike the other five members of the GCC, Muscat refused to join the Saudi-led coalition in Yemen against the Iran-backed Houthis. The neutrality of Omani diplomacy can again be seen in its decision to buck the regional trend and keep its embassy in Sana’a after it fell to Houthi rebels in Spring 2015. 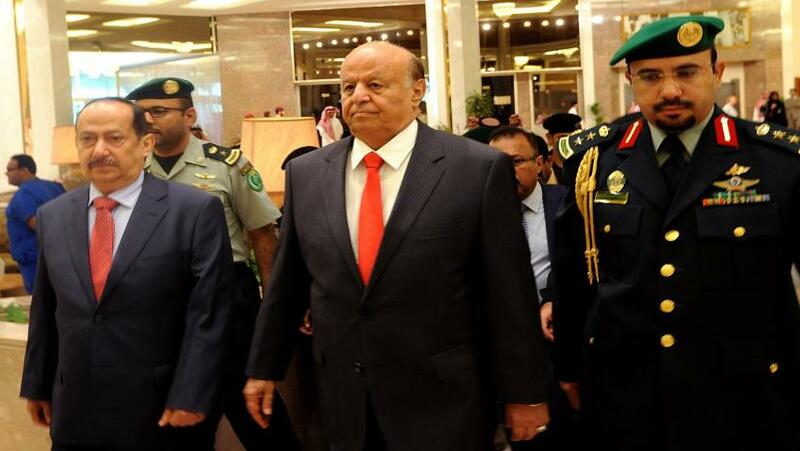 The other GCC nations moved their embassies to the coastal city of Aden, which remains in the hands of the legitimate Hadi government. Rather than pick a side in the conflict, Oman instead chose to serve as mediator. Indeed, an initiative led by the Sultanate focusing on an enforcement of a truce to reduce causalities and pave the road for the talks appears to have been working. According to reports, US officials had held direct talks with Houthi leaders in Oman during Obama’s tenure. Dubbed the “Switzerland of the Gulf,” Oman’s particularly peaceful tactics have recently been met with irritation on the part of Washington, Riyadh and Abu Dhabi. Muscat’s closer relations with Tehran, (which received praise from the Obama administration for helping facilitate the release of Americans imprisoned in Tehran), have become a point of contention between Washington and Muscat since the start of Trump’s tenure. During his visit to Riyadh for the US Islamic Summit, Trump cancelled his meeting with the Omani delegation despite meeting with other delegations and leaders of the GCC. Soon after, the United States cut its defense assistance to Oman by a third. The Saudi and Emirati governments later accused Oman of allowing the smuggling of weapons into Yemen through its territories, citing an incident in which truckloads of weapons with Omani license plates were discovered in Yemen. The accusation was denied by the Sultanate’s officials who, in typical Omani fashion, encouraged a collaborative investigation into the matter. These threatening exchanges were accompanied by two major incidents in the Gulf region that directly impacted global oil and energy routes. First, several Iranian officials threatened to close the Hormuz strait. Second, an Iran-backed Houthi group in Yemen targeted a Saudi oil carrier in the Strait of Bab el-Mandeb. These incidents occurred within the sphere of Oman’s national security and, if the situation were to escalate, would immediately impact Oman and the other Arab Gulf states. Both waterways are used to ship more than 40% of global oil production. Thus, Iranian military action, or any military conflict in the Gulf for that matter, could double oil prices and disrupt both industrialized and developing economies. This shared risk will hopefully deter all involved from pursuing military action and motivate Asian and European powers to promote and support a diplomatic solution. 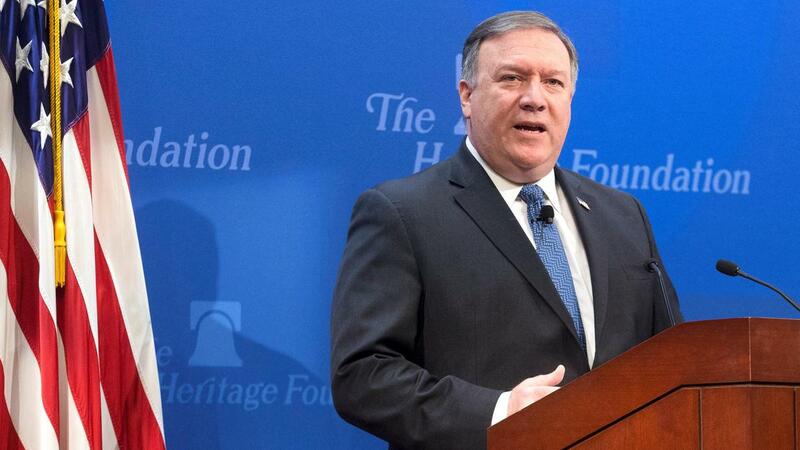 The last few months evidenced Washington’s insistence on pursuing sanctions as the most viable strategy toward containing the ambitions of Iran, exemplified in Pompeo’s list of demands from Tehran. The rise of hardliners against Iran in Washington, as seen by the appointment of US National Security Advisor John Bolton and Secretary of State Mike Pompeo in March 2018, could be a major challenge for the Gulf region in general and for Oman’s national security in particular as it has increased the likelihood of an Iranian confrontation. In their previous posts both men called for military action against Iran’s nuclear sites. 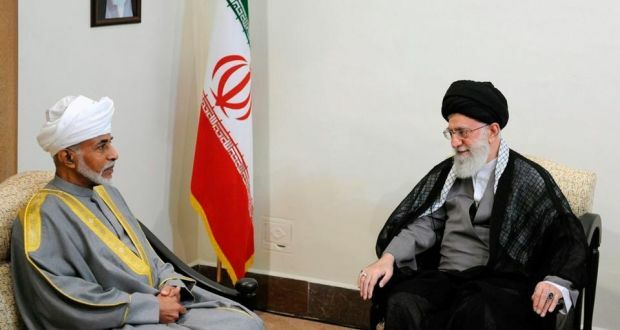 Given Bolton’s and Pompeo’s fierce opposition to Iran’s role in the region and its nuclear ambitions, securing channels between the Trump administration and the Iranian regime will not be an easy task for the Omani diplomats. Although Iran denies any willingness to resume negotiations with the Trump administration, the daily decline of the Iranian economy and the need for Tehran to protect its vital industries may undermine the country’s apparent stubbornness. The Iranian Riyal has lost more than half of its value against the dollar in just three months, resulting in a wave of civil unrest throughout the country. At the same time, given Iran’s long experience in evading sanctions, it is unlikely that new embargoes will result in the kind of economic pressures that the US desires. Therefore, such a situation likely means both nations will eventually resort to negotiations, leaving the two camps reliant on the Omani-controlled communication channels that proved so effective in the negotiations of years past.